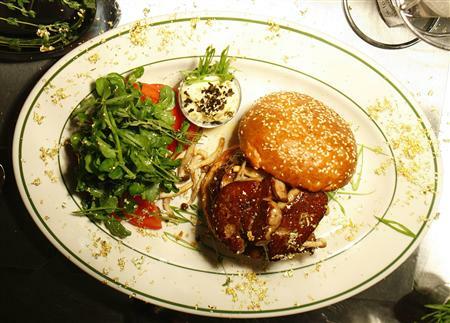 Its creators admit it is the ultimate in decadence: a $175 hamburger. The Wall Street Burger Shoppe just raised its price from $150 to assure its designation as the costliest burger in the city as determined by Pocket Change, an online newsletter about the most expensive things in New York. The burger, created by chef and co-owner Kevin O’Connell, seeks to justify its price with a Kobe beef patty, lots of black truffles, seared foie gras, aged Gruyere cheese, wild mushrooms and flecks of gold leaf on a brioche bun. No, it’s not a rave toy gone horribly wrong, it’s another spooky tool making its way into the hands of law enforcement and the military. 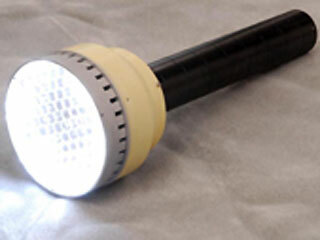 Designed as one of a growing body of non-lethal incapacitating devices, the flashlight uses ultra bright, rapidly pulsating LEDs to first temporarily blind and then induce nausea and sometimes vomiting. The pulses quickly change color and duration, which can cause psychophysical effects in many people (although to what extent varies significantly). The same effect is sometimes inadvertently seen by helicopter pilots when sunlight rapidly flashes through their rotors, disorienting them in mid-flight. The flashlight has obvious downsides—the victim must be in front of the light and must not think quickly enough to look away—but is a promising tool for non-violent enforcement. The self-built contraption took the former fighter pilot five years to build and perfect – and yesterday he gave it its maiden flight. Stepping out of an aircraft at 7,500ft, Rossy unfolded the 10ft rigid wings strapped to his back as he plummeted earthwards. Passing from freefall into a gentle glide, he triggered the four jet turbines and accelerated to 190mph above the mountaintops. With his first big test under his belt, Rossy, 48, is ready for bigger challenges: he plans to cross the English Channel later this year, before attempting to fly through the Grand Canyon. So far, Rossy and his sponsors have poured more than $240,000 and countless hours into building the device. Europeans just made a new usage of this tool created in the 4th millenium BC, the wheel. It’s hard to explain what Magic Wheel really is. I guess it’s easier to just watch this video and visit the company’s website. This guy takes extreme sports to the next level… Pretty crazy!